Most of us know these lyrics from Louis Armstrong’s 1968 rendition of “The Bare Necessities” from Disney’s “The Jungle Book.” While this simple jingle is fun to sing and dance to, it also sends an important message about life, and for estate planners, an important message about preparing lifetime documents for their clients. When clients come to see an estate planning attorney, they usually have one goal in mind: How to leave their assets. While this goal is paramount to estate planning, there are a few other goals of which clients should be aware. For instance, what would happen if tomorrow you were in an accident and unable to communicate with a doctor about your treatment or care? Moreover, what if from that exact same accident you were unable to deposit a check or sign an insurance form because you were incapacitated? All of these scenarios can create worries and strife, not only for you, but also for your loved ones. We can “forget about our worries and our strife” as the lyrics above suggest, by simply executing a set of lifetime documents, which should include a Durable Power of Attorney, a Designation of Health Care Surrogate, a Living Will and a HIPAA waiver. We call these documents lifetime documents as they are essential during life, but hold no power after death. The following is a more detailed explanation of each and its importance to your lifetime planning. This is a legal document that allows the client (the “principal”) to authorize another individual (the “agent” or “attorney in fact”) to act on the client’s behalf for any of their legal or financial decisions. The agent essentially steps into the shoes of the principal to handle any legal or financial concerns, which could include the signing of a document, the depositing of a check or the titling of an asset in the principal’s revocable trust. Some hospitals require an agent acting under a Durable Power of Attorney to sign on behalf of the client for certain procedures. Clients should choose someone they trust to fill this role in their document. The Designation Of Health Care Surrogate. The Health Care Surrogate designates an individual to act as the client’s surrogate to make medical decisions for the client when they are unable to do so. If, for example, you are in a car accident and are unable to make decisions or give informed consent concerning your medical treatment, the person named in a Health Care Surrogate, usually a spouse or trusted friend or family member who understands your wishes, can make health related decisions on your behalf. This document sets forth your wishes pertaining to Life Prolonging Procedures such as artificial respiration and tube or IV feeding. Some individuals, if they have little or no chance of improving from a terminal or vegetative state, wish that these life prolonging procedures be withheld, and only medication for pain and comfort be administered to them. This document sets forth the client’s personal wishes, and names an individual who they wish to make the final decisions regarding whether to continue artificial support. The Health Insurance Portability and Accountability Act of 1996 (“HIPAA”) and its regulations were enacted with the goal to protect against improper disclosure of a client’s medical records and other related health information. This goal, however, can prevent your family and those named in your estate planning documents from obtaining your medical information, which may lead to problems implementing your estate plan. Under HIPAA, medical personnel may incur substantial penalties, both financial and criminal, for improperly disclosing your medical information. Understandably, doctors and hospitals tend to interpret HIPAA conservatively making it harder for family members and loved ones to access your medical information. This issue is addressed by having an attorney prepare a document which provides advance authorization for medical entities and medical providers allowing them to disclose the protected medical information to specific classes of individuals. These classes could include an Agent named under a valid Power of Attorney, a Health Care Surrogate named under the Designation of Health Care Surrogate form, the successor Trustee named in a client’s trust, and to a guardian ad litem if one is appointed for the client at some time in the future. These individuals may need access to the client’s medical information to help make the important decisions that their various roles require. These lifetime documents can help a client and a client’s loved ones “forget about their worries and their strife” as it relates to any financial, legal and medical decision making. So look for the bare necessities of estate planning and make sure you have a complete and updated set of lifetime documents. The above information was provided solely for information purposes. An estate plan for an individual may or may not contain the documents discussed. We highly suggest that you seek the professional advice of a specialist in this field to determine the appropriate estate plan for your situation. 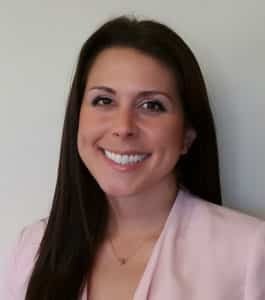 Kaley N. Barbera is a senior associate at the law firm of Snyder & Snyder, P.A. in Davie, FL, where she concentrates on estate planning with an emphasis on special needs planning, art succession planning focusing on how to transfer art, artifacts and collectibles in a tax efficient manner, estate administration and trust administration. She is a member of both The Florida and the New York Bar. Kaley is a graduate of the University of Miami, where she received her Bachelor’s degree in English Literature and her J.D. from New York Law School. She also earned her LL.M. in estate planning from the University of Miami Law School.